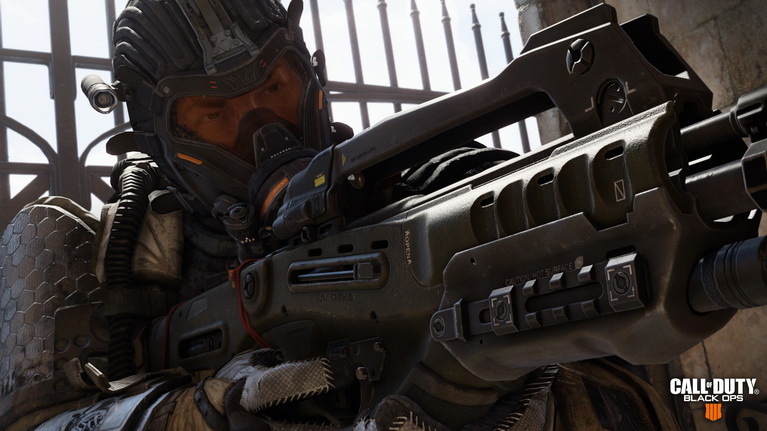 Το πολυαναμενόμενο Call of Duty: Black Ops 4 αποκαλύπτεται πλήρως. Όπως ανακοίνωσε η Activision, το Black Ops 4 δεν έχει single-player campaign και επικεντρώνεται στο multiplayer, τα ζόμπι και το battle royale που αποτελεί νέα προσθήκη στη σειρά CoD. Το multiplayer είναι βασισμένο στον κόσμο των specialists και δίνει έμφαση στη στρατηγική και τις επιλογές των παικτών. Το zombies mode απαρτίζεται από τρεις ξεχωριστές περιπέτειες: IX, Voyage of Despair και Blood of the Dead. Τέλος, το battle royale mode ονομάζεται Blackout και περιλαμβάνει γνωστούς χαρακτήρες και περιοχές από όλα τα παιχνίδια Black Ops. Το Call of Duty: Black Ops 4 βγαίνει 12 Οκτωβρίου για PS4, Xbox One και PC (διαθέσιμο μόνο στο Battle.net). Δείτε επίσημα χαρακτηριστικά και βίντεο παρακάτω και πείτε μας εντυπώσεις! • SPECIALISTS: Specialists return in a big way: their weapons and equipment are unique to each, so combining Specialists based on style of play and game mode adds a new level of strategy and team creativity – it’s all about synergy. • TEAMWORK: Multiplayer in Call of Duty: Black Ops 4 places an emphasis on tactical teamplay that rewards all play styles that contribute to a team’s success, not just individual performance or K/D ratio. Players can combine their talents with other players to become force multipliers, making the team more superior than any one player could be on their own. • PLAYER MOVEMENT AND GAMEPLAY PACE: The pace of Black Ops 4 has evolved, without slowing down the speed of the player. Combat is more tactical, yet more fluid than ever. • NEW STORY/CHARACTERS: Black Ops 4 Zombies marks the beginning of a brand-new storyline with new characters. Expanding on the fan-favorite Mob of the Dead, the third map Blood of the Dead features the Origins characters from the previous Zombies storyline visiting the purgatory dimension of Alcatraz. • MORE CUSTOMIZATION: In Call of Duty: Black Ops 4, Zombies will be the most customizable experience to-date, giving players access to customizable options that allow players to change the fundamental rules and systems of the Zombies gameplay experience. • BLACK OPS PLAYABLE CHARACTERS AND FAN-FAVORITE LOCALES: Blackout will feature classic playable characters from previous Black Ops games with a colossal map that features locations inspired by fan-favorite Black Ops multiplayer maps, including iconic areas from Nuketown and Firing Range. • CLASSIC WEAPONS AND VEHICLES: The mode will feature classic Black Ops weapons with different ammo types and equipment that players will loot and scavenge in the map. Players will also find and drive land, sea and air vehicles.